Bullying in schools wasn’t as prevalent in the past as it is today; however, bullying in general HAS in fact increased in our society. I’ve said this before and I will repeat myself once again here and now, kids mimic their parent’s behaviour, plain and simple. And then there are the other methods of learning bad behaviour, like simply watching “grownups” during an election or while watching TV. Take for example the last municipal elections right here in Ontario. There were opposing supporters tearing their opposition’s signs down during nights while tampering with others in hope of having them lose. This sort of behaviour reminded me of how bad things were in local union meetings back in the late ‘70s. One fella’ who opposed what was being recommended by another member literally shouted out his threat for the entire room full of members to hear that he was going to go after the person with a tire iron in the parking lot later. This made me realize why so many grownups back then saw those who were in control of the local union as mafia-types. Sadly, too many of them behaved in this manner. As a younger person witnessing this sort of behaviour, I wasn’t long deciding that getting any further involved with this group was definitely out of the question, and I stopped attending those Sunday meetings. Over time, this sort of behaviour literally spilled out into the workplace… the shop floor; and, at times making it very difficult to work as an hourly employee, as so many threats were being made by the local union reps on a regular basis. During union elections, things would REALLY heat up with even more threats being made and sometimes even fights broke out. It was nothing to see some union election signs and pamphlets being mutilated that were handed out on the shop floor. You can bet that those opposing some of the ones who were running for a particular position were the culprits. Now I’m seeing more and more of that same behaviour spilling out and affecting ALL of our elections… be they federal, provincial or municipal… and, I have to admit, it has got me wondering what the future will look like. 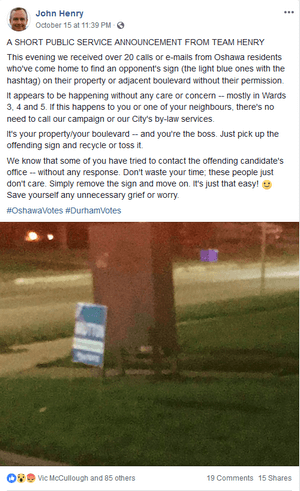 A few years ago now, a young couple who were out in the community supporting the Green Party in a federal election were threatened by a couple of older men who were acting like thugs and they made it quite clear that they were supporting the NDP party while they were threatening this young couple. So please, don’t sit there and say that the kids in the school system today have become more violent. Our entire society has become much more violent than when I was a kid. Even back then, I learned that the bullying in the schools was driven by adults. Kids would hear their parents condemning someone from the community, and the very next day at school their kids would start picking on the kids of the adults their parents had condemned that night before. This I learned during an investigation into allegations that were being made. It wasn’t hard for me to figure out that the adults were the mean ones that started all this. If you really want to stop bullying in the schools then it is times that all of us “grownups” start acting like real grownups and take full responsibility for what we say and how we act in front of others, especially kids. It doesn’t have to be your own kids either. The old saying “little pitchers have big ears” still applies. Kids literally learn from their “grownups”, and nothing has changed since that saying was coined. 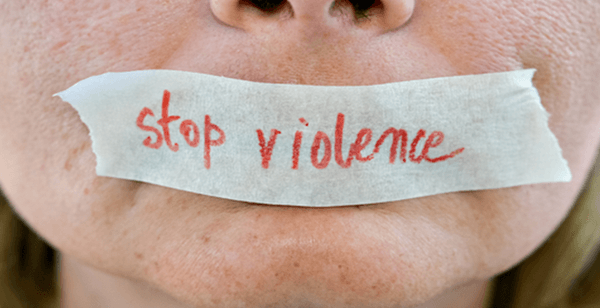 Yes, the violence within schools needs to be addressed… but so does the violence within our society! You’re not going to be able to fix one without the other. Let’s take a look at what society calls entertainment today. Violence is now acceptable to be aired on day time TV, were previously it was unaccepted. Let’s zoom in on all that blood… and even follow the bullets in slow motion, focusing in on it tearing someone into pieces. Have you heard some of the nasty political commercials being aired on Fox channel 29 lately? Several different American politicians are now having individuals come on camera and condemn their opposition, and then nearer the end of the commercial the politician clearly states that they endorse this message. 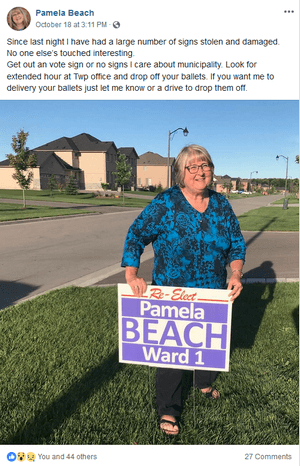 Is this how we run our elections now? Sling as much mud as we can at each other… all the while telling kids that bullying isn’t nice. It’s my guess that destroying the opposition in any election is now acceptable by all… and we’re worried about “political correctness”? Our own Canadian commercials covering political races are now one of the biggest jokes ever… and that folks, sadly enough, is reality TV. Then there is our Canadian court system… for example: a judge can literally turn a deaf ear to truth while siding with a well-noted fraudster who is FINALLY proven by the American Federal Trade Commission (FTC) to be a fraudster while in the middle of the court case where Canadian business owners were forced to defend themselves from being wrongly sued for having stated the truth. You can learn for yourself the details on how one Canadian sitting judge literally cost a Canadian business thousands of dollars having to defend themselves from the bullying tactics and abuse that an American company caused by suing the Canadian business owners from stating the truth to the world on the internet. Apparently, when referring to the lawsuit filed on the Canadian business owners, the FTC stated that the court case should have never happened. In my opinion, the Canadian judge who found it more convenient to turn a deaf ear for so many years, she should be held accountable for the cost of this particular case once the proper proof was provided by the Canadian business owners. Perhaps then judges would be less apt to allow themselves from being influenced by wrong doers who have learned that they can bully their way to success in our Canadian court system. Thankfully, in THIS case the truth prevailed in the end, but not before the Canadian business owners were put under excessive pressure (and we all know that stress can kill) and costing them thousands of dollars in defending what they published. This judge is not the only one to have allowed this sort of bullying in the court room either. Sadly, this sort of representation within Canada is become more and more popular. 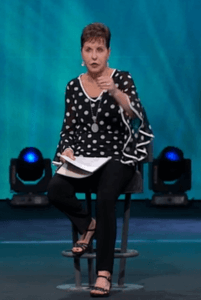 Like Joyce Meyer stated in her morning sermon (aired on 30th October 2018 @ 24:28), “Model the life you want them [your kids] to live.” This SHOULD be our society’s gold standard. Thankfully, there are some grownups that ARE prepared to take responsibility for their tiny piece of the world. And, maybe… just maybe if enough of us do that then perhaps there really is hope for mankind yet.